Hülya Karabağlı / T24 – CHP Uşak Milletvekili Dilek Akagün Yılmaz, “Daha önce bu arkadaşları uyarmıştım. İlk dört madde CHP’nin kırmızı çizgisidir. Bir sözcük bile değiştirilemez. Bu konuda yanlış yapan arkadaşlarımızı uyaracağım. Rıza Bey’in ‘ana dil . BDP İl Başkanı Halit Yıldıztekin, ‘Çözüm sürecinin’ oyalama taktiği olarak kullanmamasını isterken, “Dilimiz, kültürümüz ve anayasal haklarımızın bir an önce anayasal güvenceye kavuşturulması elzemdir” dedi. Şanlıurfa’da, BDP’li grupta bulunanlar ..
CHP’deki Anayasa çatlağı büyüyor. Anayasa Uzlaşı Komisyonu üyesi CHP’li Süheyl Batum ve CHP Parti Meclisi üyesi Birgül Ayman Güler ortak yazılı açıklama yaptı, CHP’li diğer Anayasa Uzlaşı Komisyonu üyesi Atilla Kart’a sert tepki gösterdi. The Turkish prime minister revealed the iron fist in his velvet glove this summer, but of which is his true character built? All summer long, Recep Tayyip Erdoğan has been in a very bad mood. The public squares and parks of Istanbul and several other Turkish cities were taken over by protesters he angrily dismissed as “riff-raff”, turning the full coercive power of the state on the largely peaceful demonstrators. Turkey’s Prime Minister Recep Tayyip Erdogan revealed the details of the much-anticipated democratization package at a press conference in Ankara today. For an untrained eye, the package might look like a small, but important step towards a better democracy, as it includes several improvements especially for minorities. Turkey’s prime minister, Recep Tayyip Erdogan, unveiled the first big package of liberalising reforms in years on Monday, making overtures to the large Kurdish minority and proposing that headscarved women be allowed to sit in parliament and be civil servants for the first time in the history of the Turkish republic. It has been a few months now since Turkey, was shaken by Gezi Park Protests– an environmental outcry turn countrywide demonstration. The protest itself showed the side of Turkey many thought was long forgotten- civil popular dissent, unity, and solidarity. For the first time in years in a country of some seventy million, people rose against their government and its gripping authority of the ruling Justice and Development party (Adalet ve Kalkinma Partisi) and its leader, the Prime Minister Recep Tayyip Erdogan. If someone said that hundreds of thousands of Turks raising their voices against the ruling government’s patronizing and increasingly more conservative policies would take the streets in more than 60 towns few months ago, it would have been hard to believe. The Gezi spirit brought people together as well as left many baffled by what Turkish citizens are capable of and among those scratching their heads is also the Turkish government officials. Gezi protests: religious storm in the making? It all began with few environmentalists’ attempt to prevent bulldozers from entering a small park in the heart of Istanbul near Taksim Square on May 27. The Prime Minister, Erdogan envisaged a new development plan for the park- a new shopping center, with cultural centers, opera house, a mosque, Ottoman- era military barracks, and the historic Ataturk Culture Center demolished. The plan was not open to public discussion or a vote, just as it has been the case with other past and recent development projects- construction of a third bridge across the Bosphorus entailing destruction of thousands of more trees (not to mention naming it after Yavuz Selim, an Ottoman Sultan under which thousands of Alevis (1) were slaughtered), a third and biggest new airport, the largest mosque on another green space on the Anatolian side of Istanbul, (2) a canal connecting the Black Sea to the Sea of Marmara and many others. From the very start of the protests up until today, Erdogan’s inflammatory rhetoric portrayed and continues to do so, the demonstrations as the work of secular, westernized elite with a goal to repress religious and conservative majority. One must note that it was the Prime Minster himself who started playing the religion card, not the protesters. The miscalculation of that action was fatal. All throughout the protests the protesters and organizers of the occupy Gezi movement did all they could to “embrace everyone”. And it was a religious sermon organized on a 9th day of protests which coincided with the Lailat-al-Mi’raj also known as Mirac Kandili in Turkish, that left the leaders even more so baffled. The unity among protesters was highlighted in the sermon of Ihsan Eliacik, a religious author from the anti-capitalist Muslims group who spoke that night at the park. “Mirac means ascendance . Muhammed the Holy Prophet has brought Islam by ascending to God. Islam means peace. Peace is a state of harmlessness. Do not harm anyone. Greet everyone; greet also those who are different from you. Be brothers and sisters, spread love and compassion. Today this energy is spreading out from Gezi Park. With God’s grace, completely new things are happening in Turkey” Eliacik (7) said at the park. It is unfortunate that only a decade later the AKP, especially following its second re-election is shifting further apart from its original rhetoric of a new Turkey. Turkey today no longer is united or at least not for the time being. For the ruling Justice and Development Party Turkey consists of the 50% who voted for Erdogan in the last elections in 2011, and the rest of the country. As for Erdogan himself, many see him and his party more as “xenophobic, anti- Western, inward-looking, anti-globalization and pro-status quo” (11) than what he once used to be. 1) Alevis are the non-Sunni Muslim group in Turkey. Since AKP coming to power Alevi population have had problems as the ruling government refused to recognize their “cemevi”- Alevi places of worship. Britain, France and China will be involved in a peace conference on Syria due in Geneva in November, French Foreign Minister Laurent Fabius said Monday. The deal the United States and Russia struck to get rid of Syria’s chemical weaponry is neither a sign of a sea change in relations nor a victory for one party over the other, writes Olga Oliker. It is, however, something of a testament to diplomacy on both sides. Pınar was detained in Beşiktaş by two undercover policemen, dragged and beaten. She was taken into an İETT bus again at Beşiktaş, which was used as a detention bus. She was listening to voices coming from outside. That’s where we stopped last week. It was the third day of the Gezi incidents. You can watch it online here at CNN TURK. PM Erdoğan starts his talk. Efendim, Dropbox bu alanın hala en birinci hizmeti. Buna itiraz edemem. Ama burada hesabım olsa da benim ilk ve hala en büyük göz ağrım Google Drive. Hem diğer Google hizmetleriyle entegre olmuş olması hem de bana lazım olan tüm ofis işlemleri ihtiyacını karşıladığı için Drive benim için hayati bir rol oynuyor. Drive’dan sonra özellikle depolama için en çok kullandığım hizmet Yandex Disk. O da Google Drive gibi daha büyük bir işlem hacminin parçası olarak sunuluyor. Ayrıca Amazon Cloud Drive, Microsoft SkyDrive ve de benim işim olmasa da Apple iCloud’la da 15 GB’den fazla bedava çevrimiçi depolama fırsatı olabilir. Belge/kitap paylaşımında Scribd kullanıcı dostu bir site. Sunum dosyaları paylaşımında hala SlideShare iddialı. Süreli yayın paylaşımında Issuu ‘a bakılabilir. BitTorrent’le güçlendirilmiş sınırsız buluş depolama imkanında bulunan Hive da var. Ama bu beta servisinden henüz davetiye alamadım. Alan arkadaşlar bize bir haber etsinler, nasıl bir servis diye… Haberi şuradaydı. Hot on Germany’s heels, Austria is up with its national election on Sunday. Austria is currently governed by a ‘grand coalition’ of Chancellor Werner Faymann’s centre-left social democrats (SPÖ) and the centre-right People’s Party (ÖVP) lead by Michael Spindelegger. Polls put SPÖ at about 27% and the ÖVP 23% – theoretically enough secure a return to office. The demand to transfer powers from the EU back to the national level is politically en-vogue in several EU member states at the moment. EU policy on agricultural biotechnology, however, is an interesting exception, writes Maria Weimer. Maria Weimer is assistant professor in EU law at the Law Faculty of the University of Amsterdam and a senior research fellow at the Amsterdam Centre for European Law and Governance. This commentary was first published here on BlogActiv. Centre for European Politics: EU Budget for 2013: what’s all the fuss? ÇARŞI are being painted as the culprits of the pitch invasion and violence of the Sunday game. However, the ‘losing side’ of the incident is also ÇARŞI and the wider Beşiktaş fan base, a clear contradiction in terms. The derby match between Besiktas and Galatasaray that was played in Istanbul was abandoned at the 90+2nd minute after an eruption of violence resulted in a pitch invasion. Foreign papers and local news reports alike have concentrated their coverage on the presence of violence without really probing the consequences or the underlying reasons why this event took place in the first place. Conveniently, we have also stopped questioning issues surrounding the AKP’s recent conduct or the ‘democracy package’ that the AKP have been promising to announce for the past 3 weeks. GNU just turned 30 years old. 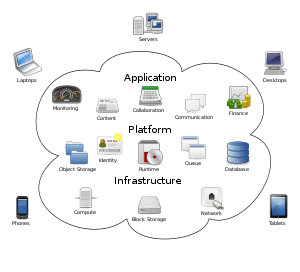 But much has changed since the beginning of the free software movement; now there’s SaaS and more. Malware is common in proprietary software products since users don’t have control over them. Why does this control matter? Because freedom means having control over your own life. As of May 2013, 15% of American adults ages 18 and older do not use the internet or email. 63% of adult cell owners now use their phones to go online, a figure that has doubled since we first started tracking internet usage on cell phones in 2009. In addition, 34% of these cell internet users say that they mostly go online using their cell phone. That means that 21% of all adult cell owners now do most of their online browsing using their mobile phone—and not some other device such as a desktop or laptop computer. Fictive depictions of tech are influential. In most shows, technology is painted as either implausibly superpowered (‘Wait?enhance that image!’) or alarmingly dangerous. The Good Wife avoids this Manichaean trap. Facebook announced another tweak to the algorithm that determines which ads appear in users’ News Feeds, giving more weight to the feedback it receives on ads, particularly how often they are hidden or reported. There’s something special about September 27, at least as it relates to one of the technology industry’s biggest players. It marks the 15th anniversary of Google’s founding* and the company has highlighted the occasion by revealing several updates to its search algorithm. But how has search, the cornerstone of all things Google, changed over the past decade and a half? Microsoft Wants Google to Censor Its Wikipedia Page Day in and day out copyright holders send hundreds of thousands of DMCA takedown notices to Google, hoping to make pirated movies and music harder to find. 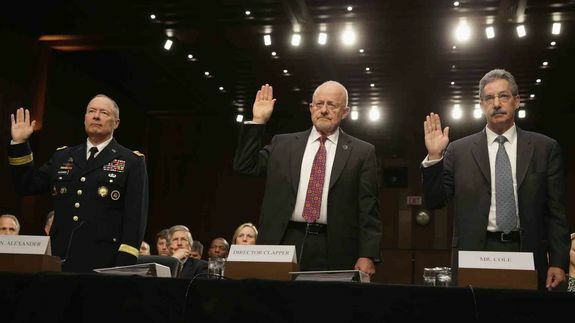 The NSA has released some details of 12 incidents in which analysts used their access to America’s high-tech surveillance infrastructure to spy on girlfriends, boyfriends, and random people they met in social settings. It’s a fascinating look at what happens when the impulse that drives average netizens to look up long-ago ex-lovers on Facebook is mated with the power to fire up a wiretap with a few keystrokes. 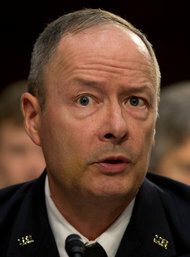 Gen. Keith Alexander, National Security Agency director, testifying Thursday before the Senate Intelligence Committee.